Polar has reputation for giving its users tons of useful metrics to stay the path to better health. 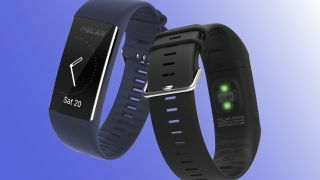 And its latest product, the Polar A370, looks to do just that in addition to being the company’s best looking wearable to date. The A370 is going straight for the Fitbit crowd with a design that’s reminiscent of the Fitbit Charge 2, but Polar’s own ever-improving design ID is apparent here, too. Unlike most fitness trackers, Polar’s aren’t just about measuring your exertion or bugging you every hour when you’re not on your feet. They also emphasize the importance of recovery, which is a metric that the A370 and Polar’s surprisingly excellent companion app are more than happy to help you balance. Trouble is, that’s becoming an increasingly tricky question to answer because it partially depends on your level of activity. Yet, Polar sticks out among the rest with its smart coaching feature that works just as well with a workout newcomer as it does with a veteran marathoner. In addition to guiding you through fitness activities and the recovery time in between, the Polar A370 employs a few interesting tricks to help you maximize your workout yields. On its bottom, there’s a heart rate tracker that continuously tracks your heart’s rate of pumping. Even cooler, the wearable kicks on its accelerometer during intense workouts so that it can gather a high-res reading of your heart while you’re throwing your limbs around violently. Providing accurate metrics while hustling is an area where many wearables fall flat, so we’ll need to see if the A370 can walk the walk when it releases in June. Lastly, there’s a new measurement added to the mix called Polar Sleep Plus, which measures your wrist movements during sleep with the accelerometer and an algorithm called polysomnography. It’s a type of sleep study that looks for sleep issues by tracking your heart rate and your movements during rest, among other things. With this feature built into the wearable, you’ll ideally learn much more about your sleep patterns and have the information you need to improve. Polar’s app is compatible on both iOS and Android, so no matter your phone, the A370 could be your next wearable if style and smart tracking abilities are high up on your list.